Want to target the younger demographic? These are the top 11 youth marketers you need to follow. Over the last few years, youth marketing has become an integral part of every top company’s strategy. 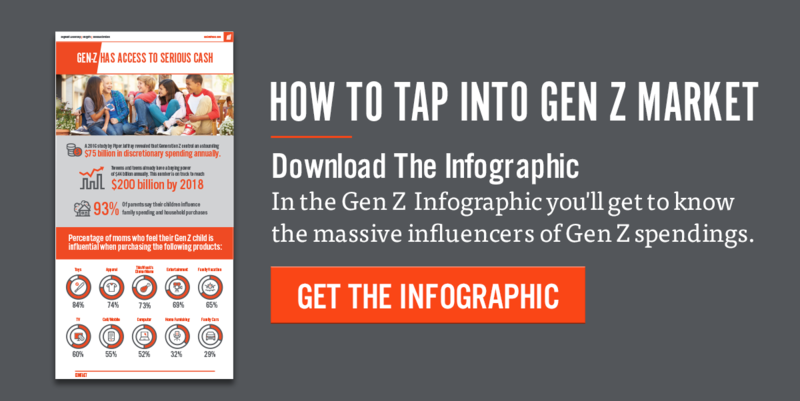 To cater to the tastes of upcoming generations, brands are tuning into advice from influencers who have experience appealing to youth. There is a lot of guidance and help available on the internet, but there are a few key influencers who give great, actionable advice. Kim is also a managing partner at InfluenceTree. At the company, he and his team teach you how to build your brand, get featured in publications and grow your social-media following to reach the younger crowd. Team up with Kim and you’ll be learning from a top-of-the-line expert with a social-media following of over 250,000 people. He’s helped consult for Fortune 500s and Daymond John companies, and is connected to the likes of Gary Vaynerchuk, Adam Toren and Cameron Herold. Blakley is also the co-founder of the youth-marketing publication YouthLogix. He often speaks at conferences and brands about successfully connecting with the always evolving younger generations. Another up-and-coming young writer and entrepreneur is Deep Patel, also 17 years old. Patel is the author of A Paperboy’s Fable: The 11 Principles of Success. He is the CEO and co-founder (with Blakley) at YouthLogix, which was recently named the “#1 Youth Marketing Blog to Follow in 2016” by Inc. Magazine. Vincenzo Landino is an entrepreneur, speaker and host of the Brand Boost Podcast. He is the co-founder and Creative Director of Aftermarq, video-content consultants specializing in brand amplification and digital storytelling. He’s helping loads of companies connect with young people through the medium of video. With experience as a brand correspondent, Landino’s portfolio includes a 1 billion impression campaign launch for Applebee’s, as well as work for Mazda, Kia Motors, Paul Mitchell Schools, Barilla Pasta, DC United, Tinder and Zoomph. Gregg Witt is a globally recognized youth-marketing expert. He’s spent 15+ years in consumer insights, building his agency Immersive Youth, which helps over 100 companies reach a stronger audience. Witt’s consulting provides brands with all things marketing: from content to social to research. Mark Lack has been interviewed on hundreds of podcasts, radio shows, YouTube Channels, television episodes and magazines in over 140 countries. He’s a coach and motivational speaker who helps entrepreneurs and marketers make it to the next level. Specifically, he helps companies connect with the latest technologies so they can differentiate themselves and reach the younger crowd. He’s been on stage and participated in interviews with some of the biggest names in the world, including John Assaraf, Tony Robbins, Mark Cuban, Daymond John, Deepak Chopra, Tai Lopez, Arianna Huffington, Gary Vaynerchuk and Grant Cardone. Having worked for companies like Microsoft and Expedia, Gutfreund has an incredible perspective on marketing at a large scale. She’s reached hundreds of thousands of young people across the globe. She’s also a dynamic public speaker and writer, and has shared her thoughts in top publications like Forbes and the Wall Street Journal. Ryan Foland has a love for people and a passion for innovating. He’s combined these interests and grown his brand by providing strategic advice to young entrepreneurs around the world. Foland helps companies reach young people, and his thoughts on this have been featured in top publications such as Inc., Entrepreneur, Fortune and the Huffington Post. Cole serves as the editor in chief at Idea Booth, a digital-advertising agency and think tank. Currently, he’s working on his first book, a memoir about his early days playing video games and how that experience shaped his writing career. Gaffney’s perspective on data and how it can be used to drive companies forward has propelled conversations for big brands, and is refining the way Adobe manages its marketing.